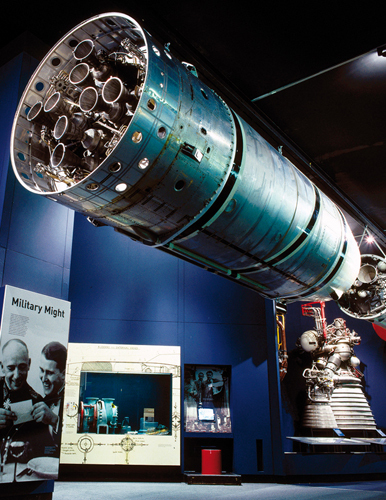 Packed with exciting hands-on exhibits, this huge museum explores the fascinating world of science through centuries of scientific and technological development. It shows British inventiveness leading the world in the Industrial Revolution, with spinning looms and steam engines, navigation and early flight. It also has displays on contemporary science and cutting-edge technologies, with numerous interactive exhibits in the hi-tech Wellcome Wing. The museum is spread over seven floors. Heavy machinery and large-scale museum highlights are on the ground floor. Telecommunications, time, agriculture and weather are on the first floor. The new Energy Gallery and computing are on the second floor, and heat, health and flight are on the third. 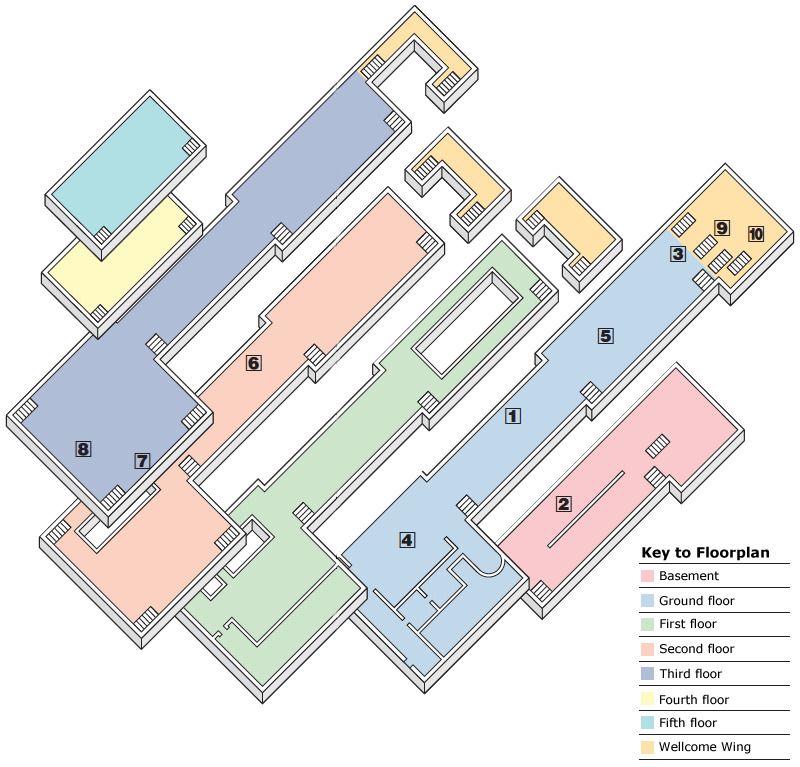 The fourth and fifth floors are dedicated to medical history. 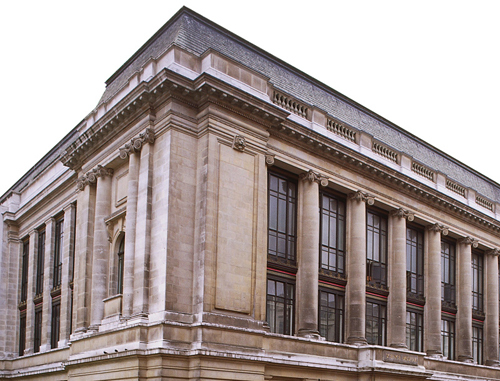 At the west end of the building is the four-storey Wellcome Wing. There is a restaurant, several cafés and a picnic area where you can eat your own food. Visitor information touch screens throughout the museum give details of exhibits. The museum store is an excellent place to buy innovative gifts. Rockets, satellites, space probes and landers can all be explored as well as learning about Sputnik, the world’s first satellite, how we sent spacecrafts to other planets and walked on the moon. This gallery contains a wacky variety of house­hold gadgets and gizmos, from washing machines to burglar alarms. 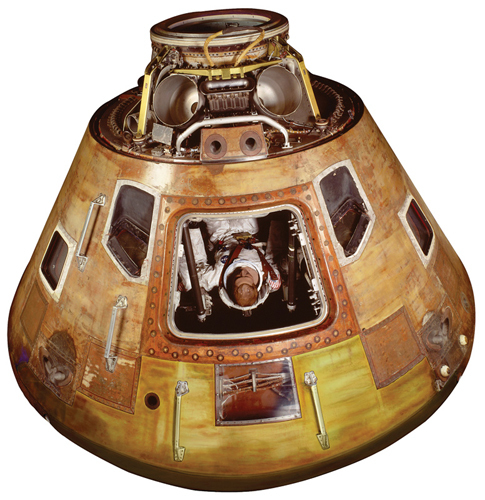 The Apollo 10 Command Module, which went around the moon in May 1969, is on display, as is a replica of the Apollo 11 Lunar Lander. Buzz Aldrin and Neil Armstrong stepped onto the moon from the original in July 1969. This immaculate steam engine can sometimes be seen up and running. It’s just one exhibit in the Energy Hall gallery, which includes one of James Watt’s original 1788 rotative steam engines. Puffing Billy is the world’s oldest remaining steam locomotive. It was built in England in 1813 and used to transport coal. 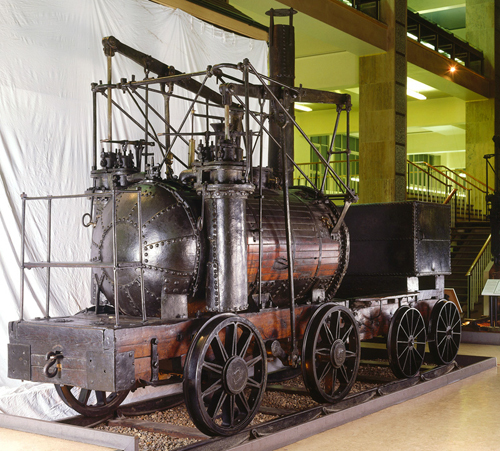 George Stephenson’s famous 1829 Rocket, the first locomotive engine to pull passenger carriages, is also on display. The Computing and Mathematics galleries on the second floor display a model of the Difference Engine No 2. Designed by Charles Babbage (1791–1871), it was the forerunner of the modern computer. Health Matters is a multimedia look at medicine. Aids, cancer and heart disease are reviewed by patients and physicians. Take a look at “Jedi” helmets used for MRI scans of the brain. This hands-on gallery is aimed specifically at children. In this area, friendly “explainers” make key science principles fun and easy to understand. The cinema shows 2D and 3D films on a screen higher than four double-decker buses. An impressive six-channel surround sound system will totally immerse you in the action. 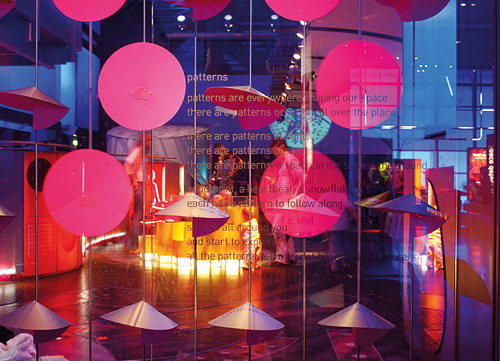 Suitable for children under eight, this multi-sensory gallery introduces ideas about patterns in the world. 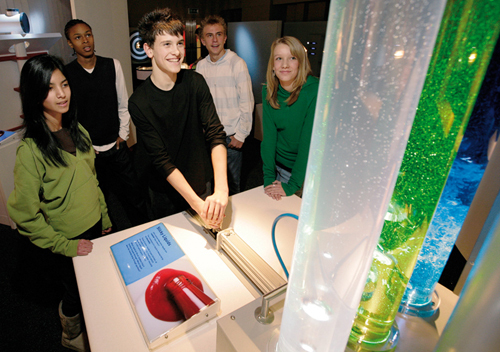 The electronic kaleidoscope and interactive exhibits make science fun.